Sputnik: What is behind Matteo Salvini's call to remove Italy's gold reserves from Brussels? Andrea Trunzo: There are a couple of possible interpretations. The first is that Salvini is voicing the concerns of some of his MPs, those eurosceptics that are trying to prevent a situation where any sort of residual national control over the gold reserves may be lost in the future. The second is that this debate on the gold reserves is actually part of a broader and more domestic debate on the role of Bank of Italy, which — reportedly — they perceive as unaccountable, ineffective and having a questionable status. Andrea Trunzo: It is possible but it's difficult. Italian Constitution says nothing about central bank and gold reserves. That can potentially help the coalition because Parliament can take action without dealing with a constraint at Constitutional level. For instance, Member of Parliament Claudio Borghi has recently introduced a bill providing an interpretation of the existing law and stating that gold reserves are State property. Nevertheless, EU Law can be an obstacle and, as usual, it's a matter of interpretation. Article 127 of the Treaty on the Functioning of the EU states that it's the ESCB — European System of Central Banks — holding and managing the "official foreign reserves of the Member States". Some articles in the Statute of the ECSB/ECB can be relevant as well. In other words, the EU can potentially challenge certain decisions at national level. Sputnik: What is the reaction from Brussels likely to be? Andrea Trunzo: They will probably try to maintain the status quo. Frequently, the approach in Brussels is to support actions in favour of transfers of powers to the EU. Nevertheless, ESCB can't set an ad hoc policy for Italy and any attempt to take additional control over gold reserves in the EU can potentially cause a backlash in other EU countries, especially in Germany. I doubt they want to challenge the political authority of Germany, therefore I don't expect any major response. Sputnik: What's your take on the report by La Stampa that the Italian government could be trying to use this gold to fund additional government spending? What could the consequences of that for the country's economy? Andrea Trunzo: It's an interesting interpretation and I wouldn't rule out that some members of the coalition may potentially support such a policy. Nevertheless, the evidence is very limited. Furthermore, it's worth to remember that, in the past, that kindof proposals came from members of the current opposition. Assuming the Italian coalition is both allowed and willing to use the gold reserves, they may use them to fund some sort of one-off or short-term policy, or they may allocate them to policies delivering long term benefits, e.g. investing in infrastructure and education. There is no evidence that the second scenario can't potentially be positive for the economy. 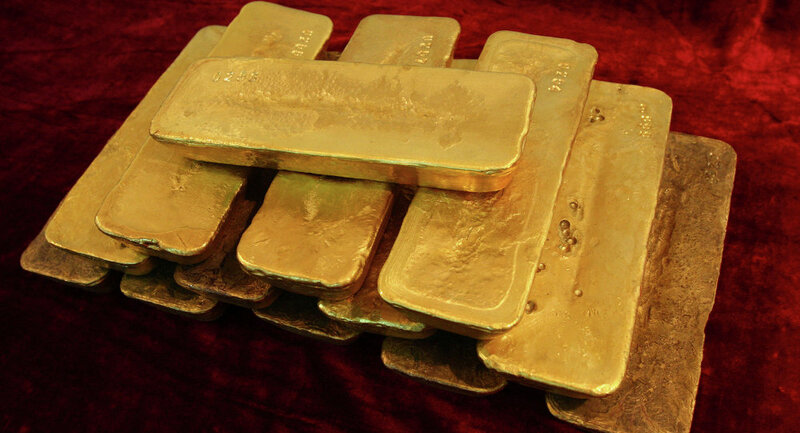 Sputnik: Italy has over 24 hundred tons of gold and is the world's third-largest holder of gold. How do Italians benefit from this? Andrea Trunzo: Many Italians can argue that there are no direct, tangible benefits in everyday life but, effectively, gold is one of the assets, one of the tools that the country has to preserve its stability.